Bride Interview with owner Phil Lafbery. Please take a moment to read this before hiring Lafbery's Wedding Car Hire. 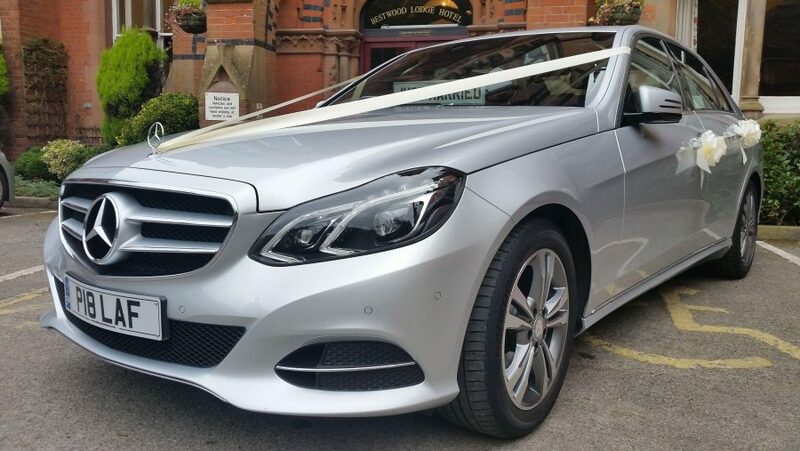 How long have you been providing wedding cars in Nottingham and how did you become a professional chauffeur? A defining moment in my life came in 2004, when after 28 years in the television service industry, I was forced into a career change. Advances in technology meant that electronic equipment was becoming much more reliable and cheaper to buy and there became less need for repairs. Something had to give and, yes, you've guessed it, it was the service technicians. I needed to get back into work quickly and I started chauffeuring on a self employed basis, working for a London based chauffeur company, operating in the Midlands. I did my first wedding in Nottingham in 2005 after I received a call from a distraught bride to be, who asked for my help after she had been let down by her wedding car company, just 3 days before her wedding! I wanted to help and told her not to worry. On the day, I'm not sure who was more nervous, I hadn't done a wedding before and I was shaking like a leaf! However, it was her day and I had to make it perfect for her. Happily all went well. Afterwards she thanked me for saving the day and for being so helpful and friendly. That felt so good and it was at this point that I decided to dedicate my time to helping brides and grooms find what they want and create their dream wedding car journey. We love your wedding car hire services and your portfolio. Everything sounds fantastic...so can you tell me what sets you apart from all the other wedding car businesses out there? 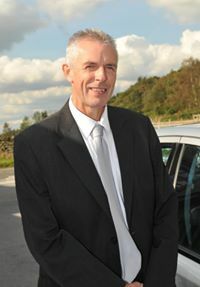 Lafbery's is a full time wedding car hire and chauffeur car hire service, based in Arnold, serving all of Nottingham and many surrounding areas, including Derby, Mansfield, Worksop, Retford and Newark, along with Lincoln, Bingham, Melton Mowbray, Loughborough, Long Eaton and Castle Donington. I do not have another day job, which means I am able to respond to your questions, concerns or desires in a timely manner. You can rest assured that I will always get back to you in as quickly as possible, and you are always a priority for me because I only work with a limited number of brides per year. I'm very focussed on anything and everything to do with making sure you have the best journey possible to and from your wedding venue. This includes creating your itinerary with thoroughness and accuracy using friendly emails and phone conversations. What you get with me is a no-excuses, undiluted expertise on helping you to arrange your wedding transport. The way I work is a little different from most. You will work hands on with me, throughout the whole process, no matter which package you select. I will hold your hand throughout the process, and help you reduce stress and save money as much as is possible. I have a passion for what I do, which will be obvious in my work and in our conversations. I love playing a part in helping others create their dream weddings! This all sounds so wonderful, but it also seems expensive. Are we going to be able to afford this? Yes! Our wedding car prices start at £144.00 and go up to several hundred. Start where you are comfortable, with the package that works best for you. There is a solution for every bride at various price points. It all depends on the investment you want to make in yourself and your wedding and beyond. So, really think about what your dream wedding looks like and what that means to you. Then, call or email me for your complimentary "get acquainted" consultation so that we can talk about your dreams and how we can create your perfect wedding car itinerary, together. Who do you best work with? 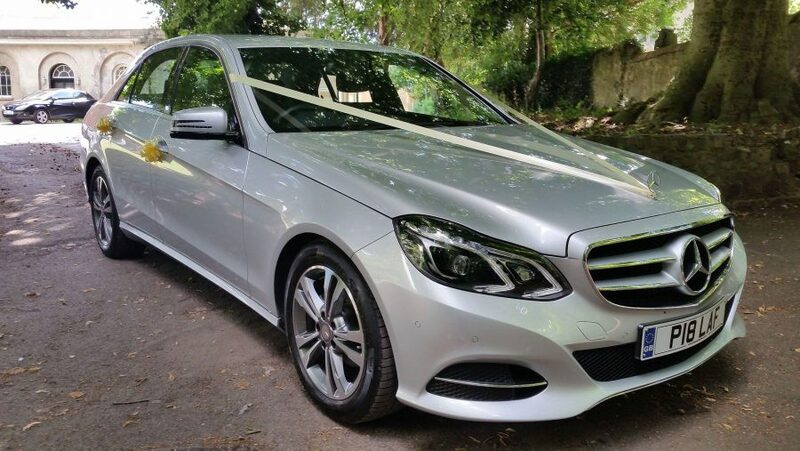 My wedding car packages are created for Brides, Grooms, Bridesmaids and event professionals, who are excited and serious about hiring a contemporary Mercedes-Benz wedding car and chauffeur for their wedding day. If that's you, then you are a perfect candidate. Sometimes I have to, gently, turn away couples who aren't suited for my service and won't obtain the result they are looking for. For instance, if they are looking for a vintage or quirky type of wedding car or if they are getting married abroad! Will I lose control of my wedding transport arrangements, if you are organising it for me? Absolutely, not. You may have a preferred route to the wedding venue or reception or you may wish to leave a little earlier or later to suit your needs. You may prefer a different colour of decorative ribbon on the car. I will be happy to arrange whatever you need. Will you work with other wedding vendors? I work well with all wedding professionals. For example, I often get asked by photographers if I would move the car into a certain position, so they can get the best shot or go to a certain park or other location for more photos. Always happy to oblige. Yes. we have public liability insurance that allows us to work confidently everywhere. We have never needed it, but we are protected to help you feel more secure and safe for your peace of mind. We are also fully licensed for Private Hire with Gedling Borough Council. This sounds like everything we've been looking for. What happens next, to start the process? Great! The next step is for you to call me on 07742195569 or you can email me at phil@lafberychauffeurs.com to set up your 'get acquainted' and complimentary consultation. I want to hear about your vision for your dream wedding car and see if we're a good match. I'll be happy to take you through the packages to see which one makes the most sense for you. May we contact some of your former brides to see what it's like to work with you? Yes, of course. You can also look at my client testimonials, here, right now. OK, I'm ready, but, I have a couple more questions before getting started....May I call you to discuss further? Yes, please do. I highly recommend all my clients to schedule a complimentary consultation, so that we can get all of your questions out of the way, answered and make sure that we're a great fit for one another. Call me, today on 07742 195 569 with any questions you have. If preferred, email me, now at phil@lafberychauffeurs.com to discuss your needs and desires and to check availability. I'm ready to help you. You just have to make that first step and reach out today! I can't wait to meet you. 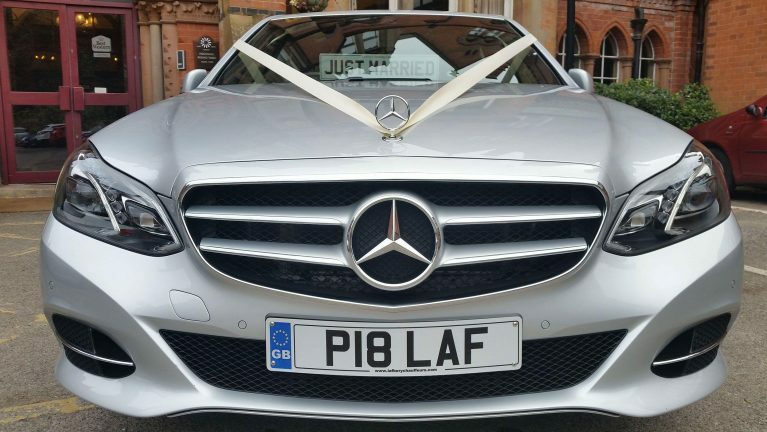 Lafbery's Wedding Car Hire, Nottingham is able to provide a Wedding Car Hire and Chauffeur Service that specialises in Bridal Cars and other Wedding Related Travel requirements. Whether you require a Wedding Car for the Bride, Bridesmaids, Groom, parents or other guests, we will be pleased to provide the finishing touch to your special day. We will also provide the perfect end to a perfect day, an Executive Car for the Bride and Groom to a hotel or airport for the honeymoon getaway following the reception. Please ask for an all inclusive price when making your booking. Choose Lafbery's Wedding Car Hire and you can be assured of individuality reflecting only the very highest standards of quality and service. 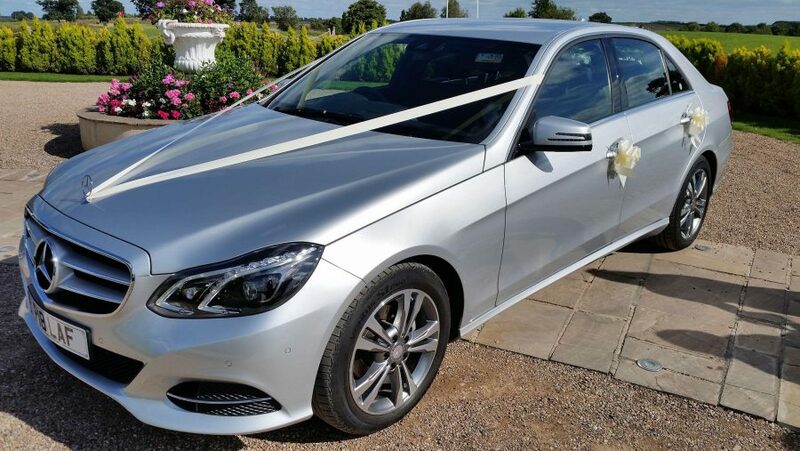 Should you wish to view one of our Mercedes-Benz E-Class wedding cars please contact us to arrange a viewing. Alternatively, if you are unable to visit we may be able to arrange viewing at your home. We are also able to provide a Chauffeur driven car hire service for Nottingham for other special occasions such as birthdays, anniversaries, concerts and school prom nights. Lafbery's Wedding Car Hire. Nottinghamshire Wedding Services, NG5. You'll receive a silver Mercedes-Benz E-Class Wedding Car, immaculately presented, inside and out. Helpful, polite and suited professional Chauffeur, DBS checked. 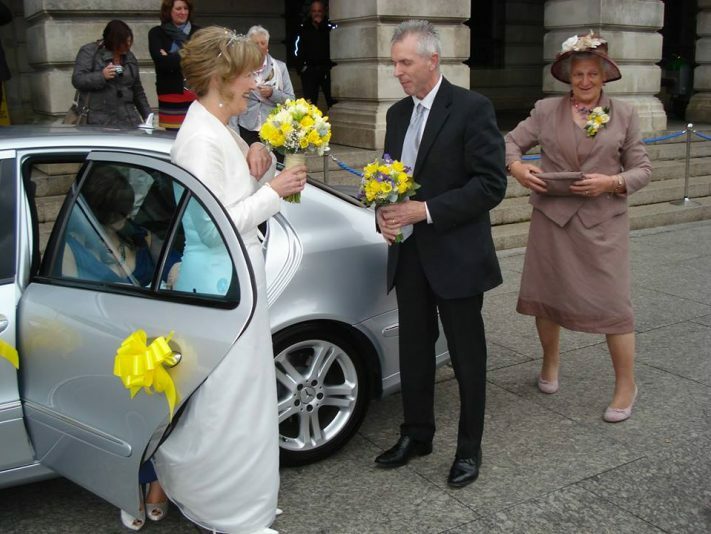 Each Wedding Car is trimmed with ribbon and bows, in your choice of colour and silk flowers in the rear window. Phil is so easy to work with, both in the run up to your wedding and on your Wedding Day. The service is tailored to meet your exact requirements. Every detail will be attended to. Take the first step to peace of mind travel on your special day. Get in touch with us today. Or call Phil on 07742 195 569.